Hi, YABC! 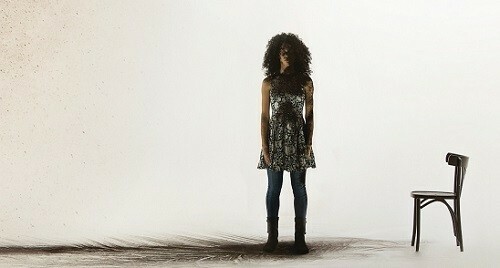 Thanks so much for having me over to reveal the cover for ALLEGEDLY. I’m super excited about this cover because it was truly a collaborative effort from beginning to end. Most importantly, shout out to the dope cover diva extraordinaire Erin Fitzsimmons! I had a very particular way I needed the main character Mary to look, and she went above and beyond to make it happened with an entire reshoot, in which I was able to help pick out the model and wardrobe. Here's a fun fact: That "ash" flying into Mary's face, it's actually coffee! Talk about a wake up call! Mary survived five years in baby jail before being dumped in a group home. The house isn’t really “home”—no place where you fear for your life can be considered a home. Home is Ted, who she meets on assignment at a nursing home. Tiffany D. Jackson is a TV professional by day, novelist by night, awkward black girl 24/7. She received her Bachelor of Arts in Film from Howard University and her Master of Arts in Media Studies from The New School University. A Brooklyn native, she is a lover of naps, cookie dough, and beaches, currently residing in the borough she loves with her adorable chihuahua Oscar, most likely multitasking. You can visit her online at www.writeinbk.com. 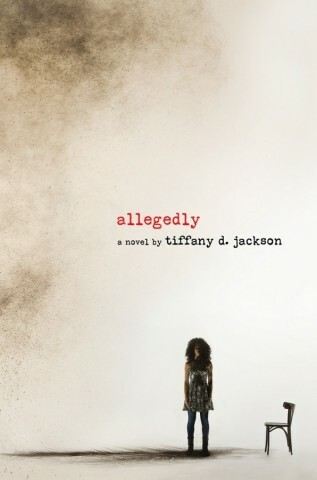 Three winners will each receive an ARC of ALLEGEDLY when available. I like the cover a lot -really gives you a feeling of loneliness and despair - but the summary of the story is what's really compelling to me. It sounds fantastic and like a story that really needs to be told. I can't wait to read it! The cover really catches my eye because it doesn't fill all the available space. The basic font is also different when compared to other covers. Love the simplicity of this message. I love the character already. I want to hear her story and make a connection. That cover almost had me in tears! I'm moved and I haven't even read it yet, so I am definitely going to read this. This is my favorite book blurb that I have ever read. It takes emotion to a whole other level. How the author captured the feelings she must be feeling is amazing. Lovely cover. The cover is interesting. Can't wait to read the book! The cover is heart-breaking! This is a book unlike any I've ever read--it sounds so gritty.